This weeks challenge was the hardest thus far, mainly because its been a busy few weeks since the last challenge and this heat has made cooking a nightmare! 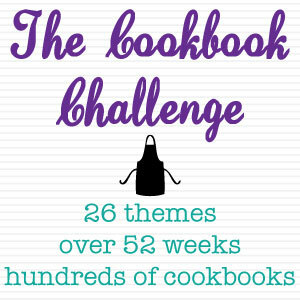 For this weeks challenge I chose a rice pudding recipe from the cookbook: Super Food Ideas : Healthy Favourites published by FPC Living. I absolutely love rice pudding and this recipe calls for it to be served immediately but being so hot I chose to make it and serve it cold straight out of the fridge. I much prefer cold rice puddings anyway, unless of course they involve condensed milk, yum! What I also found appealing about this recipe is that it took me 20 minutes to make and it involved peaches which are in season and so good right now. One of the great things about this cookbook is that each recipe is coded according to its nutritional aspects, this recipe is Wheat Free (WF) and Saturated Fat Fee (SFF). I halved the ingredients for the rice pudding component to make just enough for the two of us. The recipe below serves 4. 1. Slowly bring milk and cinnamon sticks to the boil over low heat. Add rice. Cook gently for 10-12 minutes until rice is tender. Stir occasionally. 2. Remove cinnamon sticks. Blend in sugar. Cook, stirring, for 5 minutes, or until sugar dissolves and mixture is creamy. Spoon into serving dishes. 3. 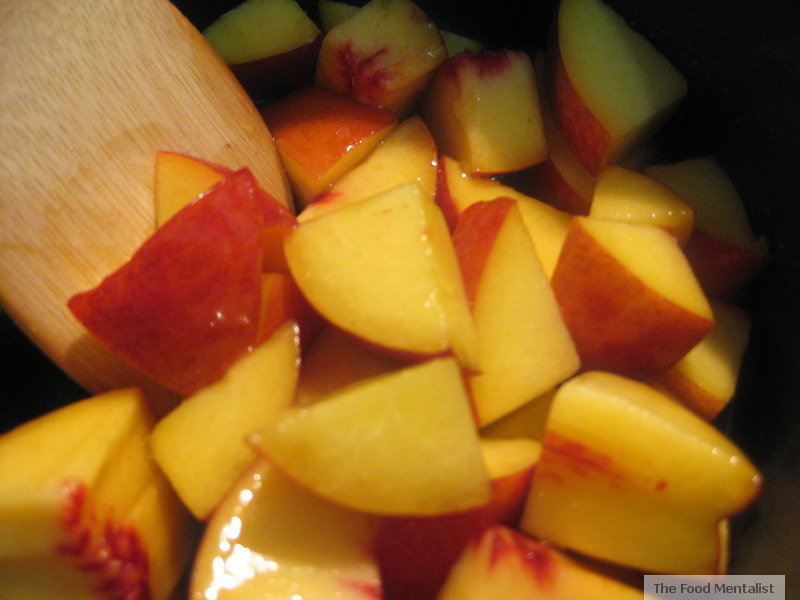 Place peaches and golden syrup into a small pan. Cook, stirring, over a medium heat until caramelised. Spoon peaches onto individual puddings. Sprinkle with cinnamon and serve immediately. I loved the flavour of the caramel peaches. Overall, the dish was a winner and a great dessert when served cold during this hot weather! Best thing about this recipe: The caramelised peaches and rice pudding flavours work well together. Worst thing about this recipe: Cooking the rice this way can be tedious, you must watch it and stir regularly to avoid the milk forming a skin and burning the bottom of the pan. The rice could have done with a little extra cooking as it wasn't as soft as I would have liked it. That looks wonderful. I love rice pudding, it's one my favourite dishes and the addition of the caramel peaches is a great idea, perfect for this time of year. Yum! I agree with Queenotisblue - one of my favourite dishes. In fact, I might just make it tonight! Yum. Ooooh this looks and sounds divine. Anything with caramel wins me over though! I have never made rice pudding, but I think I will try this recipe - sounds so natural and delicious too!